Networking is the way for finding new work. And this is done more and more online. LinkedIn has become an enormously popular network for maintaining business contacts, making it the perfect tool if you want to be found. How does LinkedIn work exactly? How can you use your online network to find a new job and new assignments? How do recruiters work and how can you use that knowledge to your advantage? All these questions are answered in this book. 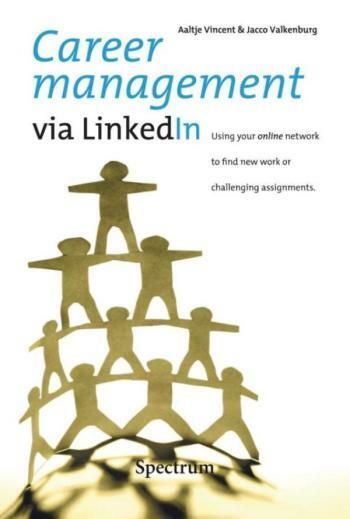 But it also offers a practical step-by-step approach for using LinkedIn in a professional way. Read this book and get immediate benefits from the wealth of knowledge inside! Aaltje Vincent is an experienced career professional and an authoritative expert in job marketing. Jacco Valkenburg is an experienced recruitment expert and a pioneer in recruiting staff via LinkedIn. He has written Recruitment via LinkedIn.